St Katharine Docks to host contemporary art exhibition Nautical Perspectives in partnership with Plastic Propaganda. St Katharine Docks’ Devon House will play host to Nautical Perspectives, a water-themed contemporary art and sculpture exhibition, 1-15 May. In partnership with Plastic Propaganda, the exhibition seeks to explore the long history of artistic inspiration drawn from the sea, providing contemporary themes that stimulate artists and the wider community today. The artists exhibiting in Nautical Perspectives have captured numerous maritime themes emphasising the strong nautical influence on our lives – whether through travel, food, danger or protection – as an island nation we have intrinsic links to the sea. The sea inspires and energises us all – so come and see the artists’ beautiful renditions in this thriving waterside community. Artists featured include Jez Giddings, who combines photographs and paint to create artwork exploring personal experiences of swimming and diving in the Ionian and Aegean seas; Lizzie Cannon, who works with objects washed up by the River Thames to explore the transitory state of objects; and Poppy Clover, whose standout piece You Might Need Me explores the history of the harbour town of Porthleven in Cornwall and a shipwreck that took place there. There will be opportunities for private viewings and meeting the artists for reflection and discussion on 4th and 10th May. 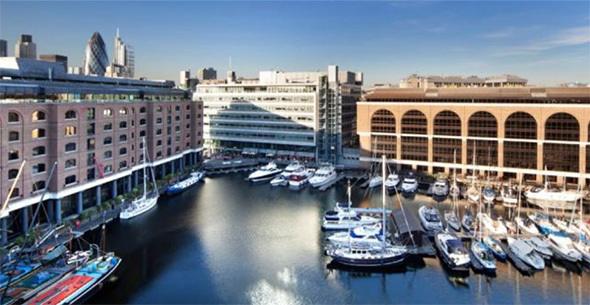 The Nautical Perspectives exhibition will be open daily 11:00-18:00 1-15 May at Devon House, St Katharine Docks. For further information on the exhibition please contact William Minto on wminto@btinternet.com or by telephone 07775 916737.